Mycteroperca rosacea is a Grouper from the Eastern Central Pacific that occasionally makes its way into the aquarium trade. It grows to a size of 86cm in length. Froese, Rainer and Pauly, Daniel, eds. (2008). FishBase. December 2008 version. This Serranidae article is a stub. 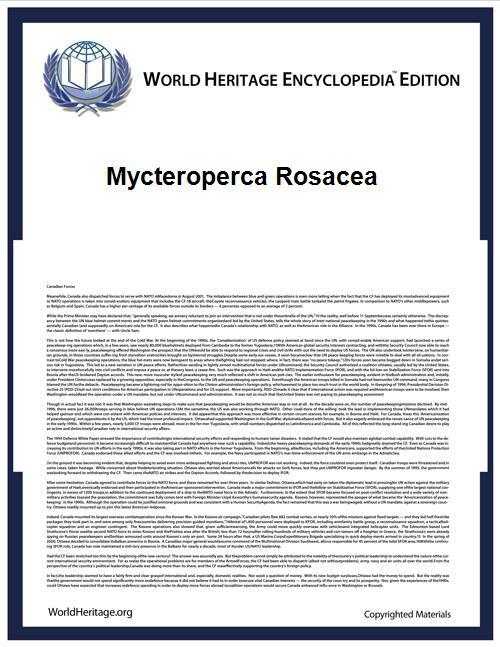 You can help World Heritage Encyclopedia by expanding it.